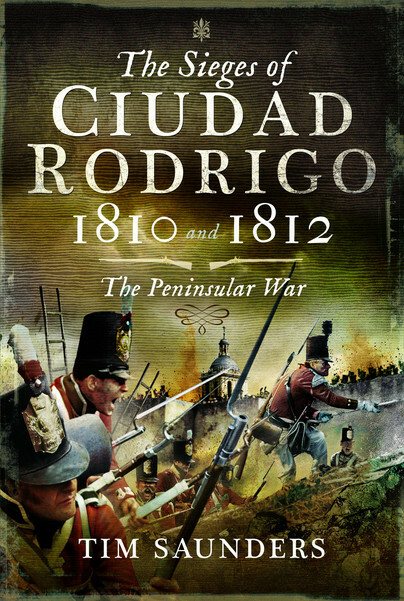 You'll be £15.00 closer to your next £10.00 credit when you purchase The Sieges of Ciudad Rodrigo 1810 and 1812. What's this? The area astride the Spanish/Portuguese border between the respective fortresses of Ciudad Rodrigo and Almeida was the focus of the Peninsular War for much of the period from the autumn of 1809 through until 1812. The fortress of Ciudad Rodrigo that dominated the country between the Rivers Agueda and Côa, was one of the ‘Keys to Spain’ for any army attacking either east or west across the frontier. With the defeat of the Fifth Coalition at Wagram in 1809, Napoleon was free to turn his attention to the rebellious Iberian Peninsula and the small British Army. Tasking a reluctant Marshal Masséna to 'throw the leopard into sea’, preparations started for what proved to be a protracted and lacklustre siege. Marshal Ney, however, champed at the bit and wanted to press on with the invasion and despite an increasing tempo of outpost actions, such as the renowned affair at Barbra del Puerco, Napoleon in attempting to control events from Paris, insisted on an orderly siege. Preparations for the siege were almost complete in December 1811, when further troops were stripped from Marshal Marmont, an opportunity to presented itself for a lightening operation to take Ciudad Rodrigo in the 1812 siege, which was of very different character. I greatly liked the book, and would highly recommend it; it covers a wide area of readership who would find the book refreshing and full of information yet also a fast riveting read. If you study the Napoleonic period or the Iberian Peninsula War you greatly enjoy this book. It is well worth the cover price and makes for a fantastic library or collection edition. The book is rich in illustrations including photographs of things as they are today and one of the appendices is a battlefield tour guide. The text flows easily with many appropriate contemporary accounts covering many aspects of the soldiers lives. We thoroughly recommend this book to anyone with an interest in Napoleonic warfare and especially to anyone thinking of visiting this area of Spain. An interesting study, rich in illustrations, and containing pertinent eye-witness accounts. The included advice on touring the related battlefields is especially valuable, and the book acts as a useful companion to anyone touring the area. Definitely a good read for Peninsular War enthusiasts.